LumAware™ offers several options for retail facilities that major national chains such as Kroger has adopted. Electric EXIT signs are expensive to install and maintain. The typical cost of installing an EXIT sign is $125 for every 25 feet. In a large “Big Box” type facility, the EXIT sign installation could be over $1,000. Additionally, monthly inspections only require a visual inspection and no longer require your maintenance/facility team to physically do the 30-second monthly test nor the annual 90-minute test. These signs are visually appealing and can easily be installed and moved as no wiring, junction boxes, circuits or qualified electrician is needed. 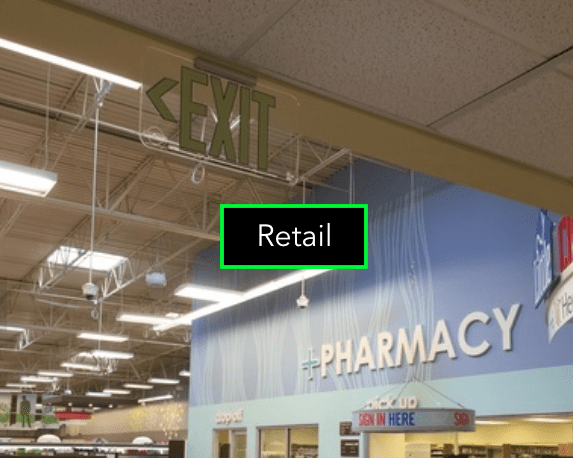 In addition to energy free EXIT signs, LumAware has a full suite a safety and egress products to help retail facilities guide their shoppers and staff to safety in the event of an emergency. Despite meeting local codes, most buildings and structures have insufficient emergency lighting. Complete Threat Preparedness consistently recommends the implementation of floor-level and low-level photoluminescent egress signage. During an emergency, most people instinctually drop to the ground, making low-level signage life-saving. Smoke and other conditions cause electrically-dependent emergency signage to be frequently obscured. Backup electrical systems can fail during an emergency situation due to water or heat damage. During some situations (such as the 9/11 Pentagon attack), backup power is actually intentionally disabled by first responders, in order to prevent firefighters and others from being electrocuted, or to provide a tactical advantage for law enforcement. Photoluminescent egress products don’t rely on external power. They can provide reliable life-saving exit guidance in any conditions. Additionally, photoluminescent products are maintenance free and long lasting, eliminating the operational costs of electrically dependent signage. Using photoluminescent signage is safer, more effective, and saves CTP clients significant energy costs every year. 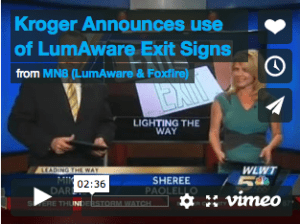 What Can Photoluminecent EXIT Signs Do For You?